International Cat Day is a celebration which takes place on 8 August, every year. It was created in 2002 by the International Fund for Animal Welfare. There are 85.8 million cats owned in the United States, according to the ASPCA, which finds that about 35% of all U.S. homes count a kitty as part of the family. Statista puts that number at 95.6 million as of 2017. The largest living cat is an adult male liger (a lion and tigress hybrid) named Hercules, also according to Guinness, who is 10 feet long, stands more than four feet high at the shoulder and weighs 922 pounds. He lives in the Myrtle Beach Safari in South Carolina. 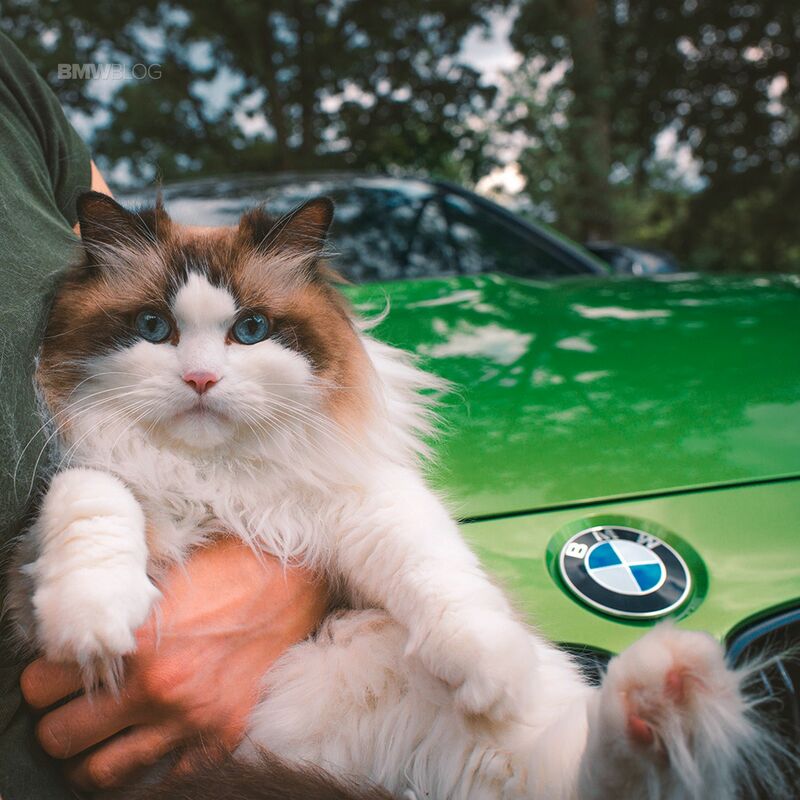 Cat owners spend $92.98 per month (more more than $1,100 a year) on average showering their fur babies with food, toys, medical care and litter boxes, according to the American Veterinary Medical Association. That’s a conservative estimate compared to the Association of International Certified Professional Accountants Americans, which claims pet owners in general spend $1,560 per year on their cats. 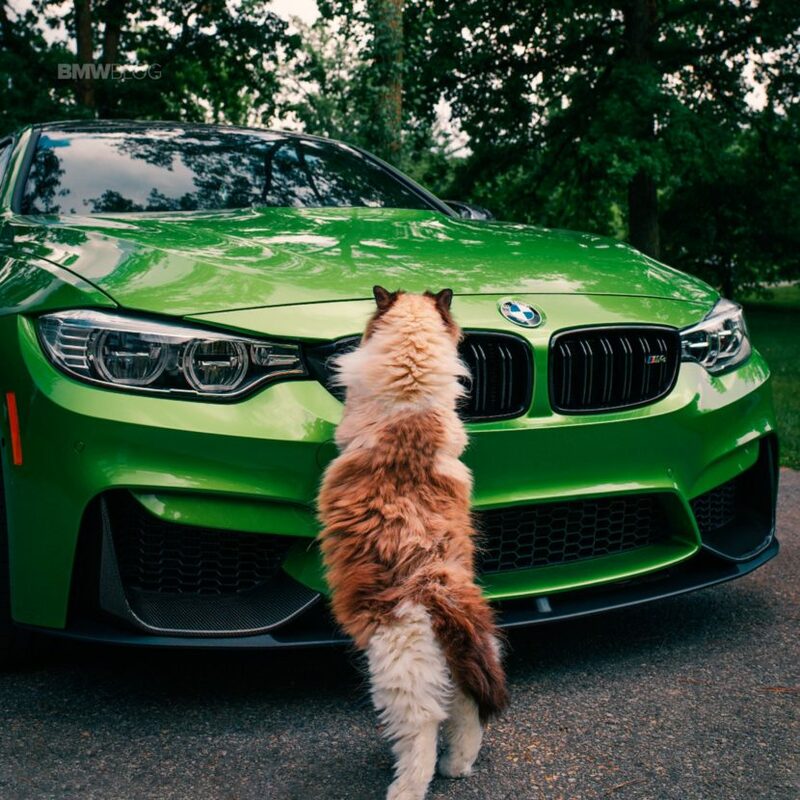 So there is no doubt that cats are part of our lives and we try to integrate them into our daily activities as much as possible, and for this cat owner, that means a photoshoot with his favorite Siamese and the equally unique Individual Java Green BMW M4 Coupe. 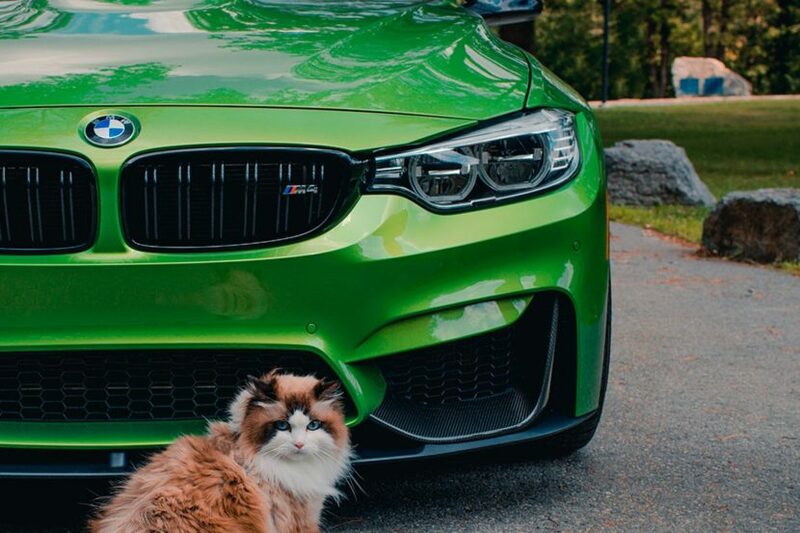 On this Instagram, “da.green.machine” delights us with some amazing photos of his car and the beautiful Roise, an Instagram star by now, and quite a model in front and behind the car. 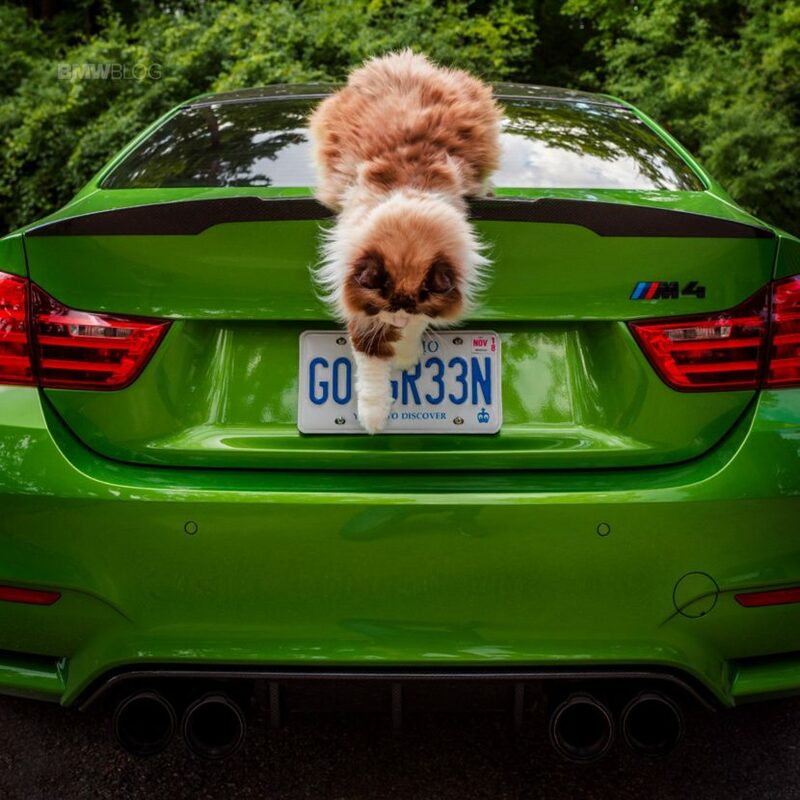 The M4 seen here is not only special thanks to its BMW Individual Color, but also because of the Competition Package which make things a bit more exciting when it comes to the two-door coupe. Packing a slightly up-rated engine from the standard M4, the Comp Pack’s 3.0 liter twin-turbo I6 makes 444 hp and 406 lb-ft of torque. That’s enough to accelerate the mid-range coupe from 0 to 100 in 4.0 to 4.2 seconds, depending on the transmission, and up to a top speed of 280 km / h, in combination with the optional M Driver’s Package. For $5,500 in the US, the Competition Package also brings some lightweight gear, 20″ wheels, a new suspension, revised steering and a revised rear differential. The best part of the Comp Pack is the new exhaust. One of the biggest complaints about the F82 BMW M4 is its noise. The new exhaust on the Comp Pack brings the noise, in a good way. It’s loud. In Sport mode, it pops and burbles on downshifts and throttle lift. In Sport Plus, it cranks the pops and burbles up to 11. Two stars, one photoshoot, and you have the right combination for this celebratory day.